Chicago-Kent can nominate up to two students to study at the University of Oslo for either the fall or spring semester. Students will pay tuition at Chicago-Kent and are responsible for any additional expenses. Students will be able to choose their courses from a wide variety of classes offered in English. The application deadline is March 15 for the fall semester and October 15 for the spring semester. 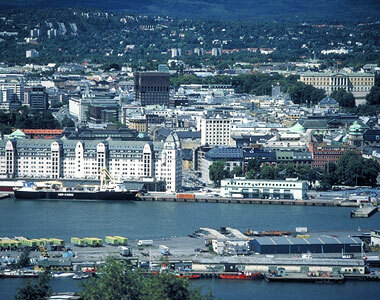 Application information for the University of Oslo is here. For more information on the University, visit: www.uio.no/english and for more information on courses offered in English please click here. "Two centuries of Viking raids into Europe tapered off following the adoption of Christianity by King Olav TRYGGVASON in 994. Conversion of the Norwegian kingdom occurred over the next several decades. In 1397, Norway was absorbed into a union with Denmark that lasted more than four centuries. In 1814, Norwegians resisted the cession of their country to Sweden and adopted a new constitution. Sweden then invaded Norway but agreed to let Norway keep its constitution in return for accepting the union under a Swedish king. Rising nationalism throughout the 19th century led to a 1905 referendum granting Norway independence. Although Norway remained neutral in World War I, it suffered heavy losses to its shipping. Norway proclaimed its neutrality at the outset of World War II, but was nonetheless occupied for five years by Nazi Germany (1940–45). In 1949, neutrality was abandoned and Norway became a member of NATO. Discovery of oil and gas in adjacent waters in the late 1960s boosted Norway's economic fortunes. The current focus is on containing spending on the extensive welfare system and planning for the time when petroleum reserves are depleted. In referenda held in 1972 and 1994, Norway rejected joining the EU." This information came from the U.S. Department of State. Read the Department of State Background Notes on Norway for additional information. "Norway is, by any standards, one of the most beautiful countries on earth, but that beauty brings with it a responsibility that weighs heavily upon Norwegians. For here is a people with an enduring love for the natural world that is profoundly etched into the national character. In the past, this was expressed in the Norwegian tradition of isolated farmsteads that colonised the most secluded corners of the country's wilderness. Increasingly, however, the irrevocable movement of Norwegians towards the cities—cities that are themselves places of great beauty, such as Bergen, Trondheim, Stavanger and Tromsø—has altered the relationship between Norwegians and their natural world. But one thing remains unaltered: to paraphrase that great Norwegian son, Henrik Ibsen, those who wish to understand Norwegians, must first understand Norway's magnificent but severe natural environment, for these are a people of the land, perhaps more so than any other Europeans." This information came from Lonely Planet's online travel guide. For more information on travel and hostels check out Lonely Planet's travel guide here. "Although Norway covers the same latitude range as Alaska (and much further north when you include Svalbard), most of the country enjoys a surprisingly temperate climate. For this you can thank the Gulf Stream, which flows north along the coast. Average maximum temperatures for July hover around 16°C in the south (although they can be double that) and around 13°C in the north. In January, the average maximum temperature is 1°C and -3°C respectively. Bergen, on the southwest coast, is the wettest city, with 2250mm of annual precipitation, while Rondane and Gudbrandsdal, protected by coastal mountain ranges from the moisture-laden prevailing southwesterly winds, are among the driest districts of Norway, with less than 500mm of precipitation annually. Alta in the country's far north receives less rain than the Sahara!" This information came from The Weather Channel. Find out the current weather report in Oslo by clicking here.